Brighton is a seaside resort on the south coast of England. It is part of the city of Brighton and Hove and the ceremonial county of East Sussex, within the historic county of Sussex. Brighton's location has made it a popular destination for tourists, renowned for its diverse communities, quirky shopping areas, large cultural, music and arts scene and its large LGBT population, leading to its recognition as the "unofficial gay capital of the UK". 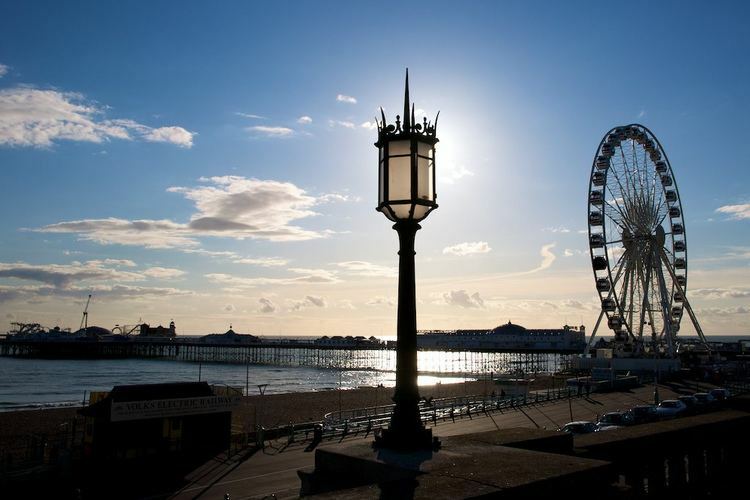 Brighton attracted 7.5 million day visitors in 2015/16 and 4.9 million overnight visitors, and is the most popular seaside destination in the UK for overseas tourists. Brighton has also been called the UK's "hippest city", and "the happiest place to live in the UK". Brighton has several nicknames. Poet Horace Smith called it "The Queen of Watering Places", which is still widely used, and "Old Ocean's Bauble". 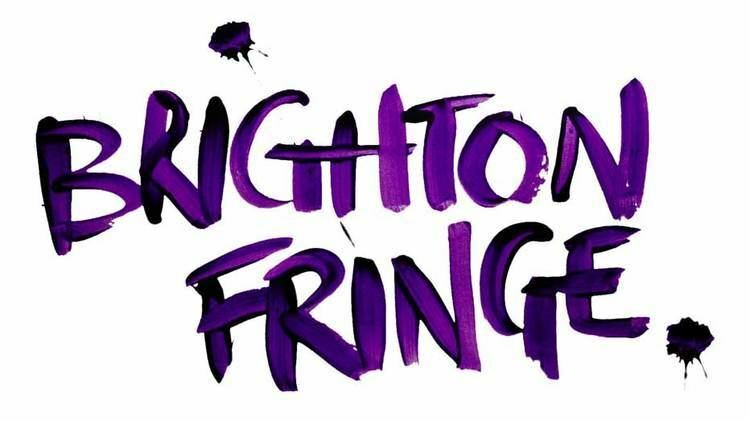 Novelist William Makepeace Thackeray referred to "Doctor Brighton", calling the town "one of the best of Physicians". "London-by-Sea" is well-known, reflecting Brighton's popularity with Londoners as a day-trip resort, a commuter dormitory and a desirable destination for those wanting to move out of the metropolis. "The Queen of Slaughtering Places", a pun on Smith's description, became popular when the Brighton trunk murders came to the public's attention in the 1930s. The mid 19th-century nickname "School Town" referred to the remarkable number of boarding, charity and church schools in the town at the time. Anthony Seldon identified five phases of development in pre-20th century Brighton. The village of Bristelmestune was founded by these Anglo-Saxon invaders, probably in the early Saxon period. They were attracted by the easy access for boats, sheltered areas of raised land for building, and better conditions compared to the damp, cold and misty Weald to the north. By the time of the Domesday survey in 1086 it was a fishing and agricultural settlement, a rent of 4,000 herring was established, and its population was about 400. Its importance grew from the Norman era onwards. By the 14th century there was a parish church, a market and rudimentary law enforcement (the first town constable was elected in 1285). Sacked and burnt by French invaders in the early 16th century—the earliest depiction of Brighton, a painting of c. 1520, shows Admiral Pregent de Bidoux's attack of June 1514—the town recovered strongly based on a thriving mackerel-fishing industry. The grid of streets in the Old Town (the present Lanes area) were well developed and the town grew quickly: the population rose from c. 1,500 in 1600 to c. 4,000 in the 1640s. By that time Brighton was Sussex's most populous and important town. Having lost the Battle of Worcester, King Charles II, after hiding for 42 days in various places, fled on the evening of the 15th October 1651 in the "Surprise" from Brighthelmstone to his exile in Fécamp, France. In 2016, Government figures analysed by the charity Shelter revealed that Brighton and Hove had the worst rate for homelessness outside London and is worse than some boroughs in the capital. Based on the Freedom of Information data there are 4,095 people sleeping rough or in emergency or temporary accommodation in the city, suggesting that one in 69 people in Brighton and Hove was homeless. In a charity report issued in November 2016, three areas in Brighton & Hove, East Brighton, Queen’s Park, and Moulsecoomb & Bevendean ranked in the top ten per cent nationally for deprivation. Although deprivation in Brighton is distributed across the whole of the city it is more concentrated in some areas than others. The highest concentration of deprivation is in the Whitehawk, Moulsecoomb, and Hollingbury areas of the city but is also found around the St. James’s Street and Eastern Road areas. A 2015 government statistic showed that the area around Brighton’s Palace Pier roundabout and to the east towards St James’s Street in Kemptown is the seventh worst ‘living environment’ in England. On 19 January 2017, Brighton council announced they were looking at certain initiatives to try and alleviate some of the increasing homelessness seen on Brighton's streets and were hoping to open the first in-house temporary housing for homeless people in the city. Brighton is covered by two constituencies in the Parliament of the United Kingdom: Brighton Kemptown and Brighton Pavilion. Both are marginal constituencies which were held by Labour from 1997 to 2010. At the 2017 general election, Brighton Kemptown elected the Labour MP Lloyd Russell-Moyle, while Brighton Pavilion re-elected Caroline Lucas, the first Green Party MP elected to Westminster. In European elections, Brighton is part of the European Parliament constituency of South-East England. As of 2017, there are 21 wards in the city of Brighton and Hove, of which 12 are in Brighton. Regency, St Peter's & North Laine, Preston Park, Withdean, Patcham, Hollingdean & Stanmer and Hanover & Elm Grove are part of the Brighton Pavilion constituency; Moulsecoomb & Bevendean, Queen's Park, East Brighton, Woodingdean and Rottingdean Coastal are covered by the Brighton Kemptown constituency. The newly created Borough of Brighton consisted of six wards in 1854: St Nicholas, St Peter, Pier, Park, Pavilion and West. When the territory was extended to include part of Preston parish in 1873, the new area became a seventh ward named Preston. The seven were split into 14 in 1894: Hanover, Kemp Town (renamed King's Cliff in 1908), Lewes Road, Montpelier, Pavilion, Pier, Preston, Preston Park, Queen's Park, Regency, St John, St Nicholas, St Peter, and West. Preston ward was extended in 1923 to incorporate the area taken into the borough from Patcham parish in 1923 for the construction of the Moulsecoomb estate, and in 1928 the ward was divided into four: Hollingbury, Moulsecoomb, Preston and Preston Park. Elm Grove and Patcham wards were created at the same time, bringing the total to 19. There were further changes in 1952, 1955 and 1983, at which time there were 16 wards. This situation continued until 1 April 1997, when Hove and its wards became part of the new unitary authority of Brighton and Hove. Brighton Town Hall occupies a large site in The Lanes. Medieval Brighthelmston had a town hall, although it was called the Townhouse and functioned more like a market hall. A later building (1727) known as the Town Hall was principally used as a workhouse. Work on the first purpose-built town hall began in 1830; Thomas Read Kemp laid the first stone, and Thomas Cooper designed it on behalf of the Brighton Town Commissioners (of which he was a member). Brighton Corporation spent £40,000 to extend it in 1897–99 to the Classical design of Brighton Borough Surveyor Francis May. Despite this, the building was too small for municipal requirements by the mid-20th century, and extra council buildings were built in various locations throughout Brighton Borough Council's existence: the most recent, Bartholomew House and Priory House next to the town hall, were finished in 1987. The town hall ceased to be responsible solely for Brighton's affairs when Brighton and Hove were united in 1997, but it is still used by Brighton & Hove City Council—particularly for weddings and civil ceremonies. The presence of a British subsidiary of the United States arms company EDO Corporation on the Home Farm Industrial Estate in Moulsecoomb has been the cause of protests since 2004. The premises were significantly damaged in January 2009 when protesters broke in. In 1985, the Borough Council described three "myths" about Brighton's economy. Common beliefs were that most of the working population commuted to London every day; that tourism provided most of Brighton's jobs and income; or that the borough's residents were "composed entirely of wealthy theatricals and retired businesspeople" rather than workers. Brighton has been an important centre for commerce and employment since the 18th century. It is home to several major companies, some of which employ thousands of people locally; as a retail centre it is of regional importance; creative, digital and new media businesses are increasingly significant; and, although Brighton was never a major industrial centre, its railway works contributed to Britain's rail industry in the 19th and 20th centuries, particularly in the manufacture of steam locomotives. Since the amalgamation of Brighton and Hove, economic and retail data has been produced at a citywide level only. Examples of statistics include: Brighton and Hove's tourism industry contributes £380m to the economy and employs 20,000 people directly or indirectly; the city has 9,600 registered companies; and a 2001 report identified it as one of five "supercities for the future". In the past couple of years tourists to Brighton and Hove have fallen in numbers. Over 2016, day visitors to Brighton and Hove dropped by an average of 2,400 per day. In August 2017, new figures for the year showed Brighton’s tourism had fallen by a further 1% on the previous year. Brighton's largest private sector employer is American Express, whose European headquarters are at John Street. As of 2012, about 3,000 people work there. Planning permission to demolish the old Amex offices and build a replacement was granted in 2009, and work started in March 2010. Other major employers include Lloyds Bank, Asda (which has hypermarkets at Hollingbury and Brighton Marina), Brighton & Hove Bus and Coach Company and call-centre operator Inkfish. In 2012, it was reported that about 1,500 of Gatwick Airport's 21,000 workers lived in the city of Brighton and Hove. Brighton is a popular destination for conferences, exhibitions and trade fairs, and has had a purpose-built conference centre—the Brighton Centre—since 1977. Direct income from the Brighton Centre's 160 events per year is £8 million, and a further £50 million is generated indirectly by visitors spending money during their stay. Events range from political party conferences to concerts. The Hollingbury Industrial Estate is one of the largest such facilities in Brighton; in its early days about 6,000 people were employed, principally in industrial jobs, but in the late 20th and early 21st centuries its focus has switched to commercial and retail development, limiting Brighton's potential for industrial growth. Brighton Corporation laid out the estate on 18 acres (7.3 ha) of land around Crowhurst Road in 1950. By 1956, large-scale employment was provided at a bakery, a typewriter factory and a machine tools manufacturer among others. Most of the large factories closed during the recessions of the 1980s and 1990s, employment fell to 1,000, and structural changes started in the mid-1980s with a move towards small-scale industrial units (the Enterprise Estate was finished in October 1985) and then retail warehouses. Asda's superstore opened in November 1987, MFI followed two years later, and other retail units were built in the 1990s. Two large headquarters buildings were vacated in quick succession when British Bookshops left in March 2011 and The Argus newspaper moved out of its headquarters in 2012—although the Brighton & Hove Bus and Coach Company signed a contract to move its 1,250 employees into the latter building. Brighton has a high density of businesses involved in the media sector, particularly digital or "new media", and since the 1990s has been referred to as "Silicon Beach". By 2007, over 250 new media business had been founded in Brighton. Brandwatch is a social media monitoring company based in offices near Brighton station. Computer game design company Black Rock Studio was founded in 1998 and was taken over by Disney Interactive Studios, who closed it down in 2011. The Gamer Network, whose portfolio of websites relating to computer gaming (including Eurogamer) and creative industries was founded in 1999, is based in Brighton. By the early 21st century, the market for office accommodation in the city was characterised by fluctuating demand and a lack of supply of high-quality buildings. As an example, the Trafalgar Place development (c. 1990), "now considered a prime office location", stood partly empty for a decade. Exion 27 (built in 2001), a high-tech, energy-efficient office development at Hollingbury, remained empty for several years and is still not in commercial use: it houses some administrative departments of the University of Brighton. It was Brighton's first ultramodern commercial property and was intended for mixed commercial and industrial use, but its completion coincided with a slump in demand for high-tech premises. The Lanes form a retail, leisure and residential area near the seafront, characterised by narrow alleyways following the street pattern of the original fishing village. The Lanes contain predominantly clothing stores, jewellers, antique shops, restaurants and pubs. The North Laine area is a retail, leisure and residential area immediately north of the Lanes. Its name derives from the Anglo-Saxon "Laine" meaning "fields", although the misnomer "North Lanes" is often used to describe the area. The North Laine contains a mix of businesses dominated by cafés, independent and avant-garde shops, bars and theatres. Churchill Square is a shopping centre with a floor space of 470,000 sq ft (44,000 m2) and over 80 shops, several restaurants and 1,600 car-parking spaces. It was built in the 1960s as an open-air, multi-level pedestrianised shopping centre, but was rebuilt and enlarged in 1998 and is no longer open-air. Further retail areas include Western Road and London Road, the latter of which is currently undergoing extensive regeneration in the form of new housing and commercial properties. 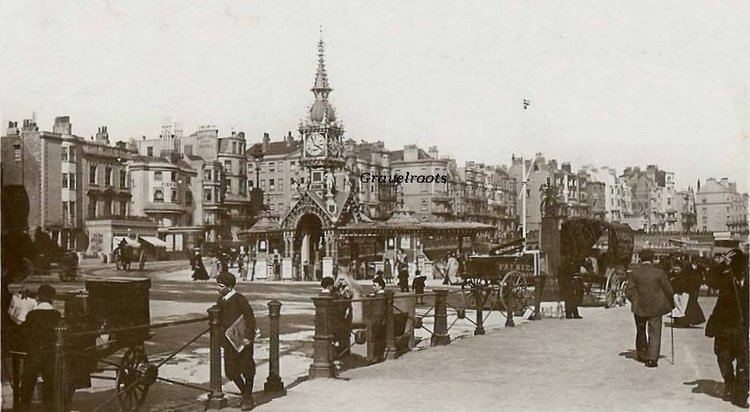 Brighton Marine Palace and Pier (long known as the Palace Pier) opened in 1899. It features a funfair, restaurants and arcade halls. 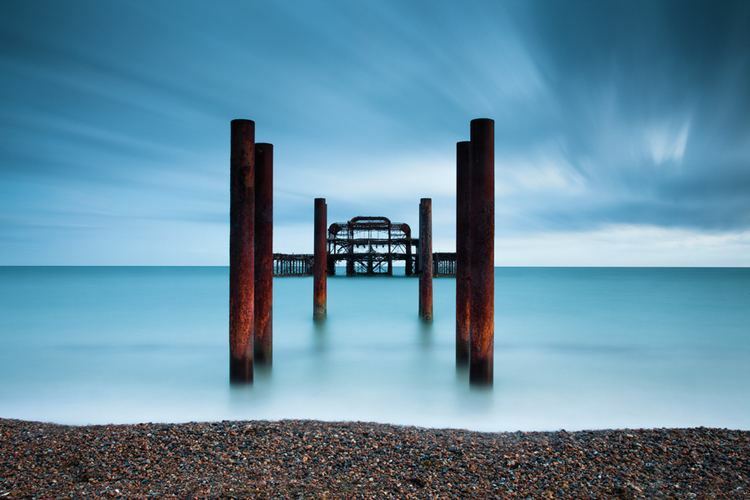 The West Pier was built in 1866 and is one of only two Grade I listed piers in the United Kingdom. It has been closed since 1975. For some time it was under consideration for restoration, but two fires in 2003, and other setbacks, led to these plans being abandoned. The Brighton i360 observation tower opened on 4 August 2016. At 162 metres (531.49 feet) high, and with an observation pod rising to 138 metres (452.75 feet), the i360 is Britain's highest observation tower outside London – taller even than the London Eye. Brighton has a 5.4-mile (8.7 km) expanse of shingle beach, part of the unbroken 8-mile (13 km) section within the city limits. Neighbouring Hove is known for its hundreds of painted timber beach huts, but brick-walled chalets are also available on Brighton seafront, especially towards Rottingdean and Saltdean. Especially east of the Palace Pier, a flat sandy foreshore is exposed at low tide. The Palace Pier section of the beach has been awarded blue flag status. Part of the beach adjoining Madeira Drive, to the east of the city centre, has been redeveloped into a sports complex and opened to the public in March 2007, with courts for pursuits such as beach volleyball and ultimate Frisbee among others. The city council owns all the beaches, which are divided into named sections by groynes—the first of which were completed in 1724. Eastwards from the Hove boundary, the names are Boundary, Norfolk, Bedford, Metropole, Grand (referring to the four hotels with those names), Centre, King's, Old Ship, Volk's, Albion, Palace Pier, Aquarium, Athina (where the MS Athina B ran aground), Paston, Banjo, Duke's, Cliff, Crescent and Black Rock. Cliff Beach is a nudist beach. Beyond Black Rock, the cliffs (part of the Brighton to Newhaven Cliffs Site of Special Scientific Interest) rise to more than 100 feet (30 m) and there are three small beaches at Ovingdean Gap, Rottingdean Gap and Saltdean Gap. All are connected by the Undercliff Walk, which has been affected by several cliff falls since 2000. Since the demolition in 1978 of the Black Rock open-air lido at the eastern end of Brighton's seafront, the area has been developed and now features one of Europe's largest marinas. However, the site of the pool itself remains empty except for a skate park and graffiti wall. Since 2003 a series of developments have been proposed but have come to nothing, including housing, a five-star hotel with a winter garden, and an 11,000-seat sports arena. The seafront is also home to many restaurants, sports facilities, amusement arcades, nightclubs and bars. Brighton featured in a number of popular movies including Quadrophenia (1979), The End of the Affair (1999), Wimbledon (2004), MirrorMask (2005), Angus, Thongs and Perfect Snogging (2008), The Young Victoria (2009), Brighton Rock (2010 and 1947) and The Boat that Rocked (2009). The Duke of York's Picturehouse, dating from 1910, was opened by Mrs Violet Melnotte-Wyatt. It is the country's oldest purpose-built cinema and was Brightons first Electric Bioscope, which still operates as an arthouse cinema. The Duke of York's Picturehouse expanded in 2012, adding two additional screens in a different location. The company is now occupying the upstairs of Komedia, situated on Gardner Street, central Brighton. There are two multiplex cinemas, the Odeon on North Street and Cineworld in the Marina. Food and drink related festivals include the traditional Blessing of the Fisheries, where barbecued mackerel are eaten on the beach and the more recent Fiery Foods Chilli Festival. There is also a twice-yearly general food festival. The main Sussex beer festival is held in nearby Hove, and there is a smaller beer festival in the Hanover area. The University of Sussex established in 1961 is a campus university between Stanmer Park and Falmer, four miles (6 km) from the city centre. Served by frequent trains (to Falmer railway station) and 24-hour buses, it has a student population of 12,500 of which 70% are undergraduates. The university is currently ranked 18th in the UK and 110th in the world by the World University Rankings. In 2003, the universities of Sussex and Brighton formed a medical school, known as Brighton and Sussex Medical School. The school was one of four new medical schools to be created as part of a government programme to increase the number of qualified NHS doctors. The school is based in Falmer and works closely with the Brighton and Sussex University Hospitals NHS Trust. A range of non-university courses for students over 16, mainly in vocational education subjects, is provided at the further education college, City College Brighton and Hove. More academic subjects can be studied by 16–18-year-olds at Brighton Hove & Sussex Sixth Form College (BHASVIC) in the Seven Dials area. Varndean College in North Brighton occupies a commanding position. The 1920s building is celebrated for its façade and internal quads. The college offers academic A levels, The International Baccalaureate and vocational courses. There are state schools and some faith schools. Notable state schools include Longhill High School, Varndean School, Patcham High School, Dorothy Stringer High School, Blatchington Mill School and Sixth Form College and Brighton Aldridge Community Academy. There are a number of independent schools, including Brighton College, Roedean School, Steiner School, BHHS and a Montessori School. As with the state schools, some independents are faith-based; Torah Academy, the last Jewish primary school, became a Pre-K/Nursery School at the end of the 2007. The Brighton Institute of Modern Music, a fully accredited music college, opened in 2001 and has since expanded to five locations throughout the UK. Brighton & Hove Albion Football Club is the city's professional football team. After playing at the Goldstone Ground for 95 years, the club spent two years ground-sharing at Gillingham before returning to the town as tenants of the Withdean Athletics Stadium. However, in 2011 the club permanently moved to Falmer Stadium in Falmer at the start of the 2011–12 season, with the first match being played there in July 2011. The club's notable achievements including winning promotion to the Football League First Division for the first time in 1979, staying there for four seasons, during the last of which they reached the FA Cup Final and took Manchester United to a replay before losing 4-0. The 2017-18 Football season will see Brighton's debut in the Premier League, after a win against Wigan Athletic guaranteed automatic promotion to the top flight. Notable former managers of the club include Brian Clough, Peter Taylor (born 1928), Peter Taylor (born 1953), Jimmy Melia, Liam Brady, Jimmy Case, Steve Gritt, Brian Horton, Steve Coppell and Mark McGhee. Notable former players include Gareth Barry, Dave Beasant, Justin Fashanu, Dennis Mortimer, Gordon Smith, Frank Stapleton, Howard Wilkinson and Bobby Zamora. Whitehawk Football Club is a semi-professional football club based in the Whitehawk suburb of Brighton. Currently, they play in the Conference South having won promotion three times in the space four years between 2009–13. Whitehawk play their games at The Enclosed Ground, beautifully set into the South Downs, close to Brighton Marina. Notable former/current players include Sergio Torres, Jake Robinson, Matthew Lawrence and Darren Freeman. Brighton and Hove is home to the Sussex County Cricket Club at Eaton Road in Hove. Brighton Football Club (RFU) is one of the oldest Rugby Clubs in England. Brighton & Hove Hockey Club is a large hockey club, with a homeground based in Hove. The men's 1XI gained promotion to the England Hockey League system, Conference East, in 2013. Throughout the year many events take place on Madeira Drive (a piece of roadway on Brighton's seafront), which was constructed to host what is commonly held to be the world's oldest motor race, the Brighton Speed Trials, which has been running since 1905. The event is organised by the Brighton and Hove Motor Club and normally takes place on the second Saturday in September each year. There is also an from time to time a beach soccer competition in a temporary stadium on imported sand on the beach. The inaugural contest in June 2002 featured football stars such as Eric Cantona and Matt Le Tissier. Brighton has a horse-racing course, Brighton Racecourse, with the unusual feature that when the full length of the course is to be used, some of the grass turf of the track has to be laid over the tar at the top of Wilson Avenue, a public road, which therefore has to be closed for the races. There is a greyhound racing circuit – the Brighton & Hove Greyhound Stadium – in Hove, run by Coral, at which Motorcycle speedway racing was staged in 1928. The Brighton and Hove Pétanque Club runs an annual triples, doubles and singles competition, informal KOs, winter and summer league, plus Open competitions with other clubs. The club is affiliated to Sussex Pétanque, the local region of the English Pétanque Association, so they can also play at a Regional and National level. The Peace Statue terrain is the official pétanque terrain situated on the seafront near the West Pier. Brighton has two competitive swimming clubs. Brighton SC formed in 1860 claims to be the oldest swimming club in England. Brighton Dolphin SC was formed in 1891 as Brighton Ladies Swimming. Brighton was chosen as one of the one of the 13 Rugby World Cup 2015 host cities, with two games being played at the 30,750 capacity American Express Community Stadium (Although it was named the "Brighton Community Stadium" throughout the tournament for sponsorship reasons.) One of the two games played was one of the biggest shocks in the history of Rugby Union, with Japan defeating South Africa 34 points to 32, with a try in the dying minutes of the game. The other game was between Samoa and the United States.